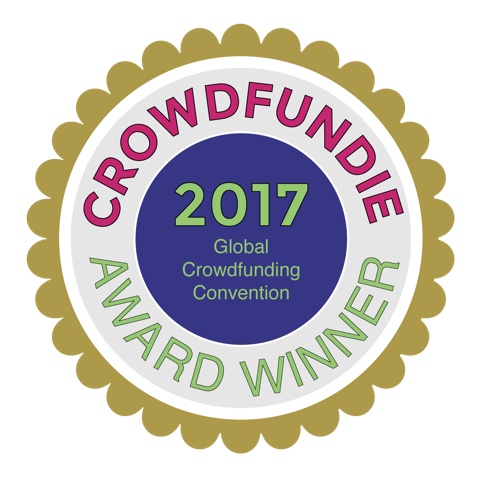 We're honored to share that The Local Crowd (TLC), a rewards-based crowdfunding platform, recently won a Crowdfundie Award at the Global Crowdfunding Conference in Las Vegas, Nevada. This award recognizes outstanding contributions to the crowdfunding industry. Locally, The Local Crowd is hosted by Monadnock Buy Local and called The Local Crowd Monadnock. Since we launched in March 2017, four Monadnock Region businesses/organizations/initiatives have collectively raised $34,946 from over 200 individuals. TLC Co-founders Diane Wolverton and Kim Vincent accepted the award at a VIP event at Planet Hollywood in Las Vegas. The Global Crowdfunding Conference, founded by Ruth E. Hedges, is the crowdfunding industry’s flagship event. This convention brings the global crowdfunding community together to learn, share and co-create the future of the industry—an industry that is experiencing explosive growth. The Local Crowd platform is specifically designed for rural communities and is currently in 13 states. In conjunction with The Local Crowd Monadnock, TLC provides education, support and hyper-local tools to connect local businesses and organizations with the capital they need. The Local Crowd Monadnock is now accepting crowdfunding proposals for 2018. Details are available at monadnocklocal.org/rfp. Congrats to The Local Crowd and all thirteen TLC Communities! Exciting news: The Local Crowd (TLC) Monadnock will have one of its campaign videos highlighted at the 6th annual Global Crowdfunding Convention in Las Vegas on October 23 and 24, 2017. This video exemplifies how TLC Monadnock provides more than just a crowdfunding platform, but leverages the skills, resources and talents of our community to help businesses, organizations and citizens reach their fundraising goals. "With a proper ecosystem of crowdfunding technology, education, and training, startups and growing enterprises can increase their ability to raise the capital they need, scale up, and compete in today's world," said Ruth Hedges, CEO and Founder of the Global Crowdfunding Convention. "When Global Crowdfunding Convention founder Ruth Hedges asked me for campaign videos to showcase the The Local Crowd platform, I immediately thought of TLC Monadnock's Stonewall Farm campaign," said Diane Wolverton, CEO and co-founder of The Local Crowd. "Their video tells a great story -- in just 97 seconds!" 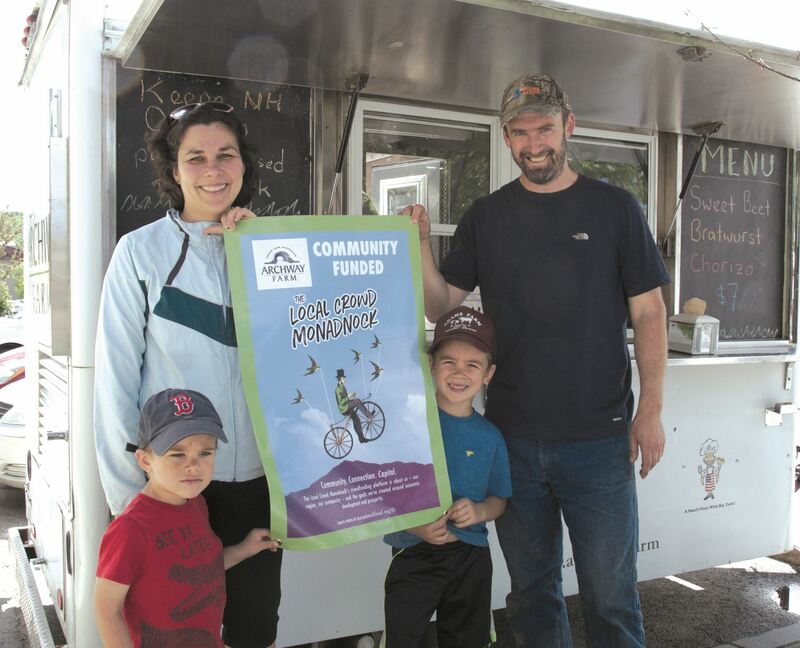 TLC Monadnock's connection to The Local Crowd, a program supported by a USDA Small Business Innovation Research Grant, amplifies the region's assets by providing the technology, coaching and training needed for this local effort to thrive. Stonewall Farm's crowdfunding video was donated and produced by 710 Main Films based in Keene. The Local Crowd (TLC) Monadnock will highlight the opportunity for individuals, organizations and businesses based in Winchester to raise funds using this innovative crowdfunding platform. TLC Monadnock will attend the Winchester Pickle Festival with Mark Florenz of Archway Farm. Mark successfully raised over $5,000 through TLC Monadnock's crowdfunding platform. With the funds he purchased a food truck, allowing him to sell his pasture-raised pork and other locally made products at events like the Winchester Pickle Festival. He plans to sell his own hot dogs, sausage, and something pickled (of course!). Please RSVP on Facebook and help us spread the word! 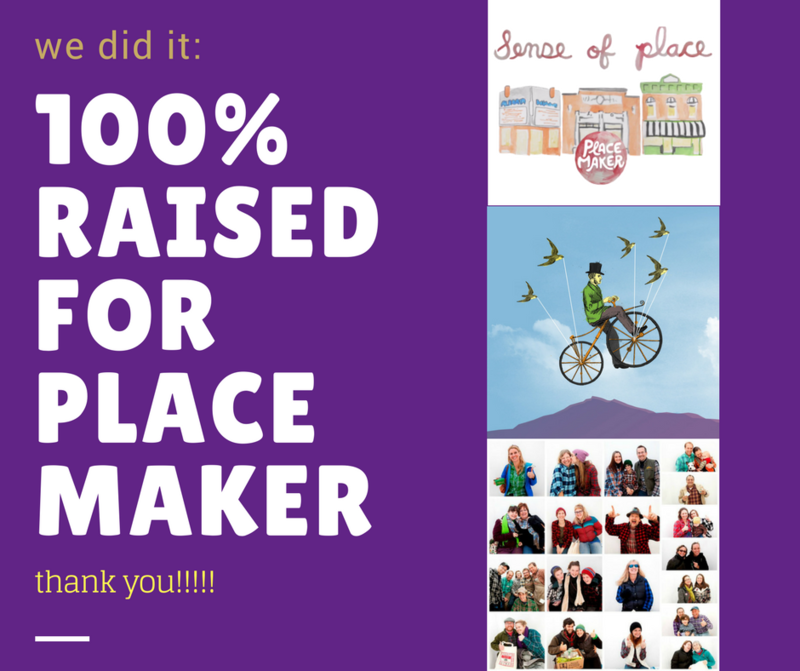 Placemaker Crowdfunding Update: We Did It! Thanks to 59 supporters, we did it! We reached our crowdfunding goal -- so we're bringing Placemaker to the Monadnock Region! We will make arrangements with Placemaker for an early November program launch. We'll be sure to keep you updated on our progress. Woo-hoo! 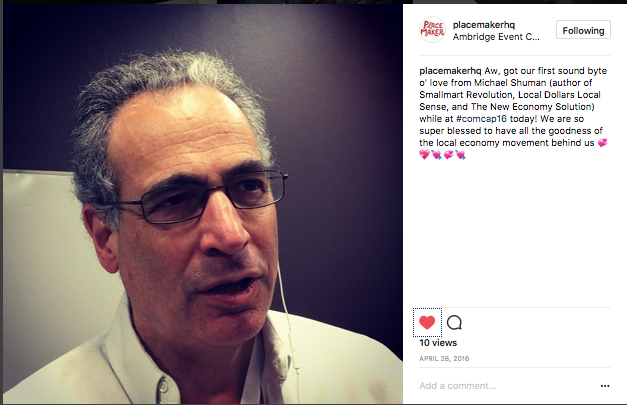 Thank you for all the shares on social media -- we really feel the local love for Placemaker! We just need $470 to meet our crowdfunding goal, so one more shout out is very appreciated. We spoke with Placemaker and if we make our goal it looks like we can launch the program this November -- just in time for this year's Shift Your Shopping season and Plaid Friday event! Debbie Daniele Photography of Keene donated one Lifestyle Portrait Photography Session, plus one 11x14 enlargement for donating $250 to our crowdfunding campaign. Thanks Debbie! A big thank you to Kim Peck from Nest :: mother child home in Peterborough for her video lending support to our campaign. We need your help sharing our story about the power of Placemaker. 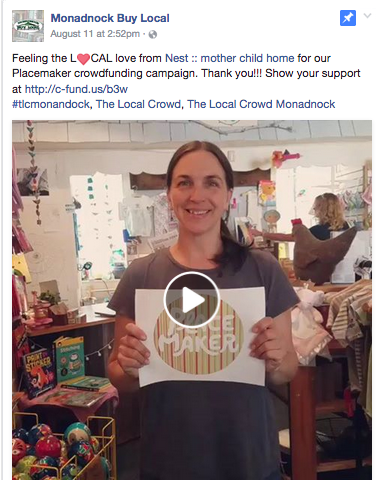 We'd love a very short video of you sharing why you support bringing Placemaker to the Monadnock Region. This would mean the world to our campaign -- as we try to convert interest into support. Post your video on your favorite social media platform and send us an email to let us know it's posted. (If you need help with this, please let us know -- we're so happy to help!) Thank you so much in advance! We're excited to share we surpassed the half-way point yesterday and reached 65% of our fundraising goal. Woo-hoo! 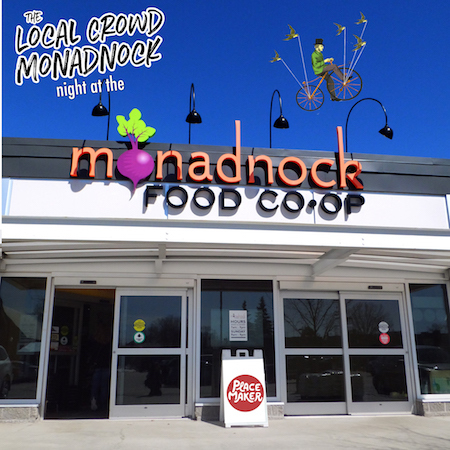 Thank you to the Monadnock Food Co-op for hosting our TLC Monadnock Night at the Co-op last night (and for Mother Nature for a rain-free evening). Next week, we plan to join the Dan Mitchell radio show and broaden our outreach quite a bit. We'll also be at the Farmers' Market of Keene next Saturday. Hopefully, you've already browsed our amazing rewards for contributing to our Placemaker campaign -- but have you considering getting an early jump on your holiday shopping through our campaign? Have someone on your list looking to get more healthy in 2018? Get them one of our yoga or fitness rewards. Know someone who would love to see a Peterborough Players play? Get them the Picnic and a Play Package with the Jack Daniels Inn. A Citizen Membership to Monadnock Buy Local would also make an amazing gift for a buy local enthusiast. Check out all our rewards on the right side of our campaign page. We surpassed the $2,000 mark this week -- and are now reaching towards the halfway mark (we're 41% there!). We built up 5,000+ Placemaker crowdfunding video views on Facebook BUT very few viewers watched long enough to learn what this awesome program is all about. 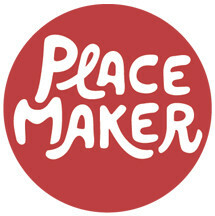 So, we added a new Facebook video just about the Placemaker Program -- feel free to share it with your Facebook contacts. Join Us for a Stronger Community! from Katrina Scotto di Carlo on Vimeo. Please join us for TLC Monadnock Night at the Monadnock Food Co-op on Friday, August 4 from 4 - 6pm in Keene. Visit our table to say hello, share your questions and enjoy a special treat or two! Also, plan to stay for the Co-op's Local Food BBQ. RSVP on Facebook and Help Spread the Word! 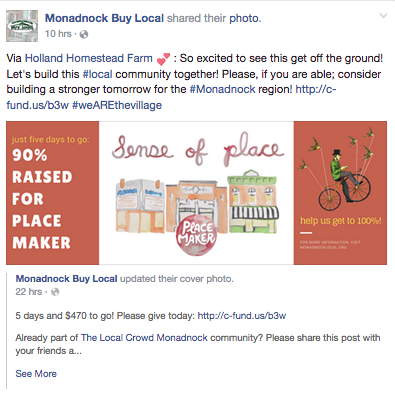 Last week, the Monadnock Shopper News featured our Placemaker crowdfunding campaign. Here's to hoping it reaches more community members and inspires them to vote with their dollars to bring Placemaker to the Monadnock Region! The Monadnock Food Co-op will host The Local Crowd (TLC) Monadnock Night on Friday, August 4, 2017 from 4:00 p.m. to 6:00 p.m. at its store in downtown Keene. 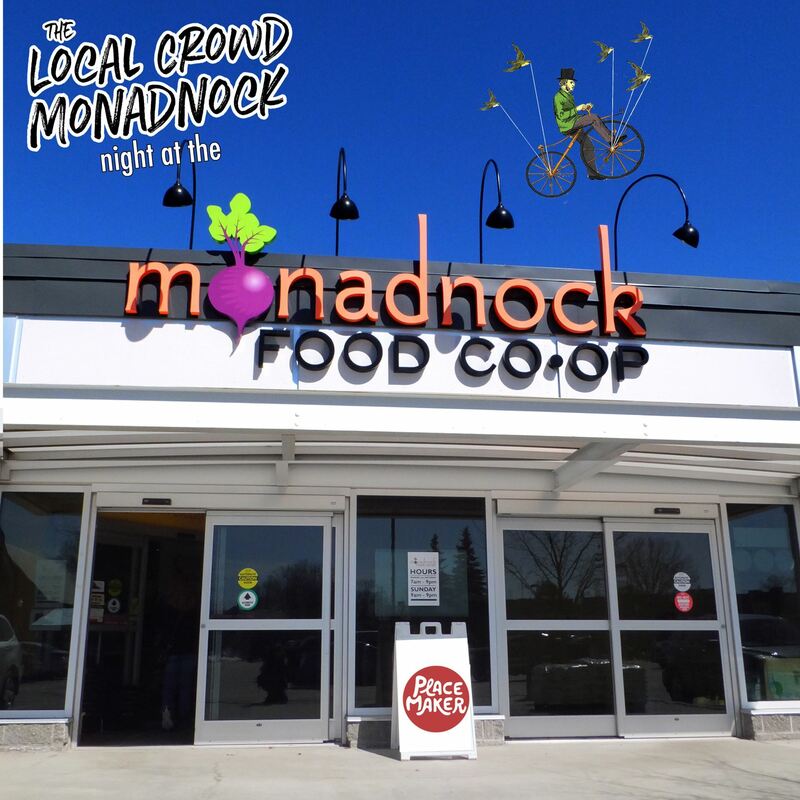 You're invited to visit our table outside the Co-op and learn more about TLC Monadnock's latest crowdfunding campaign: Placemaker Local Rewards Program. Be sure to stay for the Co-op's Local Foods BBQ, too! Placemaker is an online loyalty platform that tracks purchases made at locally owned businesses and offers gifts and discounts to users who spend their dollars locally. It is a powerful tool to inspire more community members to shop at locally owned business, while also giving community economic organizations access to valuable data -- regarding how much the region is shopping locally to grow a more local, green and fair economy. Individuals can contribute to this crowdfunding campaign online at http://c-fund.us/b3w. Since launching on March 15, 2017, TLC Monadnock has raised over $10,000 from 164 supporters.